1: From the Updates screen, tap on the "+" button at the top. 2: Type in your title in "Story title" field and your story text in "Story body" field. 3: If you would like to add photos or videos to the story, simple tap the Camera icon at the bottom of the story creation page. You will then have the following options to select from. 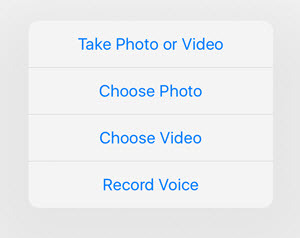 Select one of the options to take or select photos/videos or record your voice, then tap "Done." 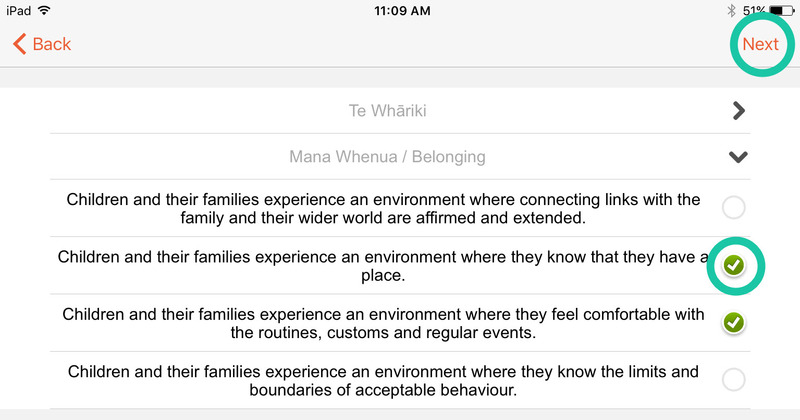 4: Select the class(es) in which the children the story is for are in, or tap "Skip" to enable them all. Tap the "Next" button once selected. 5: You can now select which children the story is for by ticking the checkbox next to their name (1) or tapping the "Select All" button (2) which selects all the children. Tap the "Next" button (3) when you are done. 6: You can then add in text for the additional text boxes, such as "What learning do I think is happening here?" Type in your text (or leave it blank) and tap "Next."  7: You can then select Curriculum to link to the story by tapping on the title(s) of the curriculum to open the different sections and tick the ones you would wish to link. When you have finished, tap "Next." 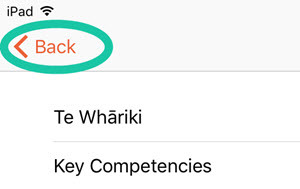 Alternatively, you can tap the "Skip" button to carry on without linking any curricula. 8: You can now choose whether to send an email and mark it as a Day Journal if you would like. If you are finished with the story tap the "Send" button and select "Post Story." 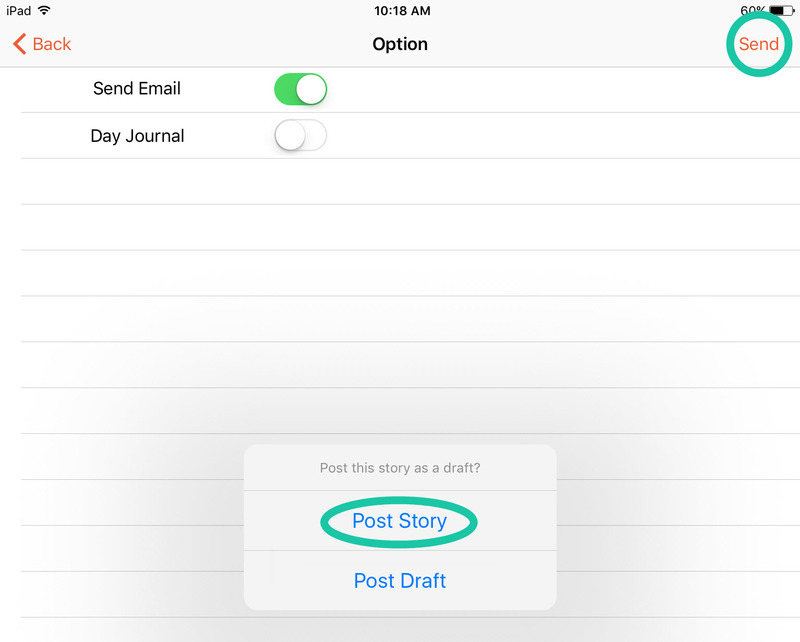 If you want to save it as a draft, select "Post Draft" after pressing the "Send" button. Tip: You can also go back to any section to edit it by using the "Back" button in the top left corner.